Carol Di Giacomo believes that the client should be fully engaged in the decision-making process in all family law matters. She strives to educate and inform clients of their rights while taking a thoughtful and measured approach to resolve problems and to preserve assets. Carol’s philosophy is to diligently protect her client’s rights in a respectful and sensitive manner, so as to minimize damage to the family both during the process and in the future. She is known for listening to her clients so that she fully understands their needs and interests while she takes a thoughtful approach to achieve their goals. Carol has litigated numerous cases over the years, is a trained mediator as well as a collaborative attorney. Carol works with certified divorce financial planners and divorce coaches to help her clients move through the difficult process of disengaging from their marriage and to prepare for the next stage of their lives. Carol has been actively involved in private practice in the Chicagoland area for over 30 years. She has been a speaker on numerous radio and television programs. 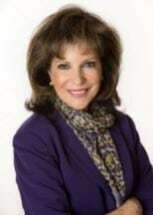 Carol also was a part-time teaching staff member at Oakton Community College and at the College of Du Page where she presented numerous workshops on divorce, remarried and blended family issues and estate planning. Carol’s practice also encompasses estate planning, bankruptcy and real estate law. Carol is a graduate of Kent College of Law and has an undergraduate degree from University of Illinois, Urbana Campus. She is also fluent in Spanish, having attended the University of Barcelona in Spain. She is a Fellow in the Collaborative Law Institute of Illinois as well as a North Shore Practice Group Leader. In addition to being an Officer of the Cripple Creek Gold Mining Corporation from 1991 through the present, she is also a member of the American Bar Association, the Illinois State Bar Association, the Chicago Bar Association, the Northwest Suburban Bar Association, International Association of Collaborative Professionals and the Collaborative Practice Professionals of Illinois. Ms. Di Giacomo is a debt relief agent. She helps people file for bankruptcy relive under the Bankruptcy Code. Court-Certified Mediator in the Domestic Relations Division in Cook County Illinois.